Wondering why chatbots are gaining popularity? Interested in how savvy businesses are using bots to improve communications with their customers? In this article, you’ll discover insights from research that show how bots are evolving and affecting customer service experiences across many industries. 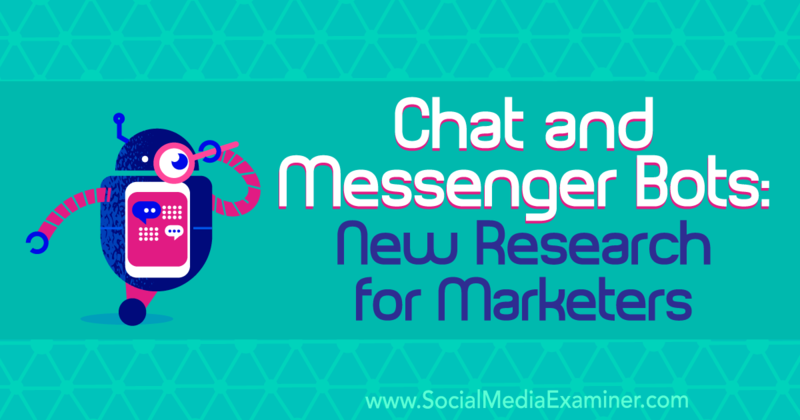 #1: Bot Technology Is Changing How Businesses Communicate Many companies in a variety [...] This post Chat and Messenger Bots: New Research for Marketers first appeared on Social Media Examiner.